For the vast majority of road races of all sizes across the U.S., participation held steady in 2017, according to an analysis of road race participation trends released by Running USA. The number of people registering for U.S. road races in 2017 compared to the previous year declined only slightly, by less than 1 percent, according to data compiled by Running USA with the help of a consortium of The Active Network, imATHLETE, Race Roster, RunSignUp and many individual events. This consortium of competitive online registration providers was a first in order to help Running USA look at race entries vs. race finishers. U.S. running registrations in 2017 remained consistent with the total registrants in 2016. In 2017, there were a total of nearly 18.3 million registrants, down just slightly from 18.5 million in 2016. Despite a slowdown in growth in recent years, the 2017 data indicates that a healthy recreational running industry is thriving in the U.S. The majority of runners of U.S. road races continued to be women in 2017, while the most popular race distance was the 5K, according to Running USA. Around 59 percent of participants in a given road race are female, while 41 percent are male. 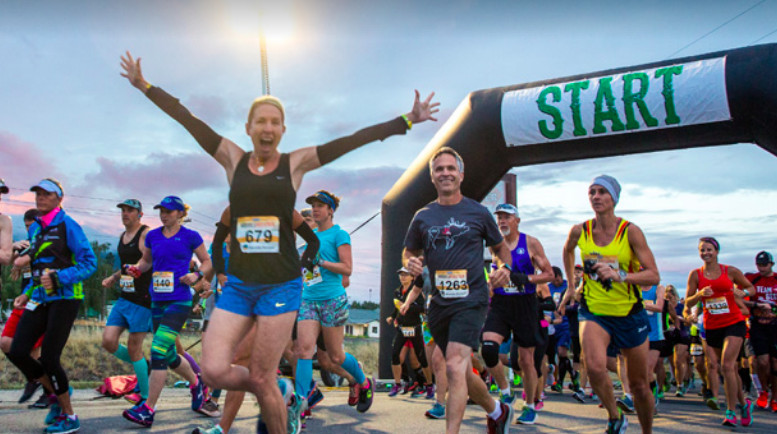 Meanwhile, 5K events boasted 8.84 million registrants, claiming 49 percent of all registrants in the nation, while the half-marathon again held the No. 2 position with approximately 11 percent of the finishers. For access to the full U.S. Road Race Trends report, Running USA members can login to the membership portal and download the PDF copy.